You're tired of singers, comedians & drag queens? and your customers spent Lots of Money? ...then look no further, and book Harrizon the Hypnotist today! 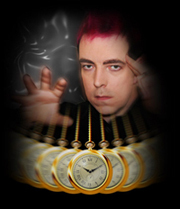 Harrizon is a fully trained and insured Comedy Stage Hypnotist & Psychological Illusionist, and as Camp as a Row of Pink Tents. With 24 years experience in the entertainment industry, he is the only choice for your venue or party. 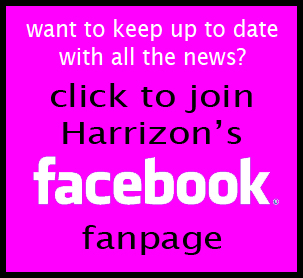 It doesn't matter if you are Gay or Straight, Harrizon isn't fussy... but you should be when booking an entertainer. When you book Harrizon the Hypnotist, almost anything can happen...and often does. His unique style of humour, and amazing skills, along with the particpants' own imaginations will leave everyone laughing, and talking about the show (and more importantly - YOUR VENUE) for a very long time. Available for Birthdays, Coming Out Parties, Weddings, Civil Ceremonies, Gay Pride Events, Pubs, Clubs & More! Every show is tailored to the client's needs, the venue, and the audience & participants on the night. You are not booking a 'Show in a Box' - unlike singers, musicians, comedians and drag queens, Harrizon's act is fresh, dynamic, adaptable and different every single time - Guaranteed! Harrizon is available to book either as a solo performer, or in his brand new, and totally original double act with the 'Bernard Manning & Roy Chubby Brown of Hypnosis' - International Celebrity & TV Star - Jonathan Royle. Ideal for straight venues, Ladies Only nights, Comedy Clubs etc.